We talk quite a bit about protecting the skin. But sometimes we need to take a step back and remind ourselves of just what we're protecting ourselves from. There are many pollutants and stressors in our lives that can negatively impact our skin. Don't let this information make you afraid to ever step foot outside again. But do take the risks seriously and take the necessary steps to protect yourself from the potential dangers. A review study published last year in the Indian Journal of Dermatology, Venereology and Leprology provides a sobering reminder of what we're up against. Air pollution is on the rise, and environmental damage means we're exposed to increasing levels of ultraviolet radiation. The combined effects of toxins like polycyclic aromatic hydrocarbons, volatile organic compounds, oxides, particulate matter, ozone, and cigarette smoke are bad news for the skin. 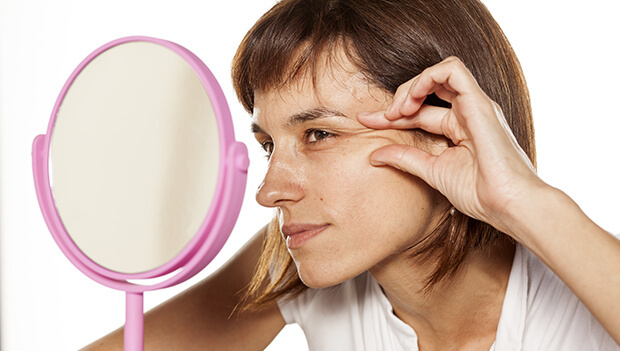 This oxidative stress doesn't just make you look older; it can even lead to fatal diseases. The researchers found that different pollutants caused risks of different issues to spike, but overall the cocktail of toxins you can bathe your face in just by going outside can lead to premature aging, psoriasis, acne, atopic dermatitis, eczema, excess pigmentation, and even cancer. The researchers concluded that the solution to all of this is to decrease air pollution. That's not a bad idea. We should all consider how we can decrease our contributions to environmental toxins. Plus, if you walk instead of drive occasionally, you'll get some extra exercise, which is good for your appearance too! And if you're adding cigarette smoke to the air, please seek help to quit. I don't need to tell you that smoking cigarettes is incredibly damaging to your skin and to your health. However, while I agree that decreasing air pollution is a good thing, these efforts may be too little too late to save your skin. So you need to make sure you're protected. Start by washing your face every night with a gentle cleanser. Wash those pollutants away as soon as possible. Prolonged exposure will increase the damage they can do. The last thing you want to do is go to bed with toxins on your face. Some cleansers make the claim to be natural, yet they are not effectively cleaning your skin. Système 41 offers a remarkable cleanser that is 100% non toxic and effective. Next, give your skin antioxidants from ingredients like vitamin C or peptides that will combat the oxidative stress these toxins cause. As we've discussed before, oxidative stress is at the root of all skin aging, and antioxidants should be your weapon of choice against it. The exceptional thing to note about the Système 41 Vitamin C Serum is that it's unique in that it contains water soluble and oil soluble vitamin C. These two types of C are very effective in not only providing antioxidants to your skin but also, over time (in as little as one week), begins to encourage the facial skin to increase collagen and elastin. That means slowly and naturally getting rid of fine lines and wrinkles. Finally, when you do go outdoors, make sure you're wearing sunscreen. This is a vital defense against ultraviolet radiation. You can find all the tools you need to fight back against pollution exposure in the Système 41 line of products - no need to become an isolated (albeit youthful-looking) hermit!